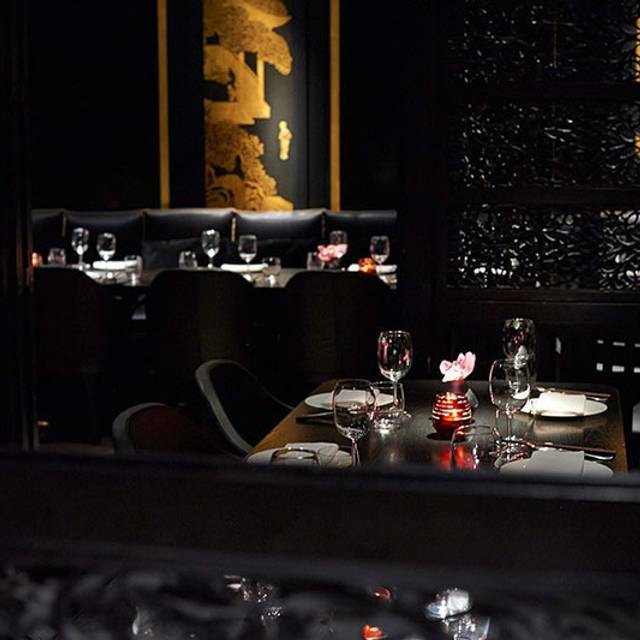 You must make bookings at least 5 minutes in advance of the time at Hakkasan Mayfair. We are able to accommodate large groups within the restaurant and we also have a private dining room that can seat up to 14 guests. 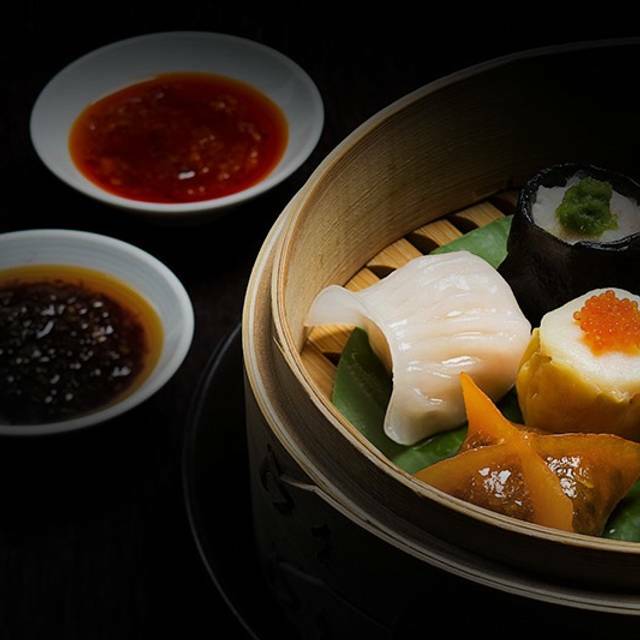 Opened in November 2010, Hakkasan Mayfair is the second London edition to the acclaimed Hakkasan brand. 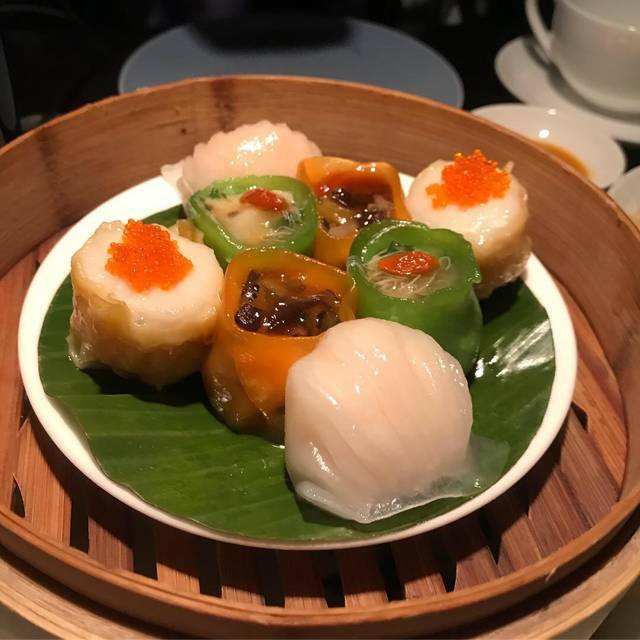 Innovatively created cocktails and a unique wine list, are combined with carefully chosen dim sum and Chinese dishes that are ever changing, dynamic and new. 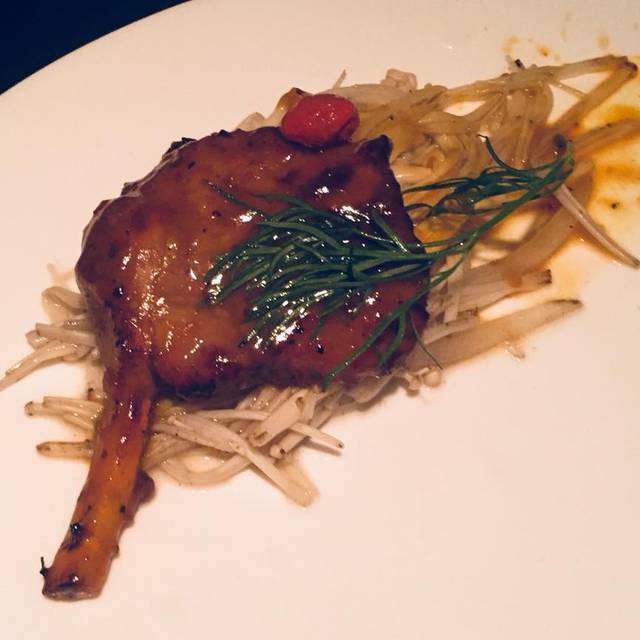 The result is authentic Cantonese cooking with a contemporary flare – at once subtle and thrilling - and all made with the best ingredients. Hakkasan Mayfair is set over two floors. The lower ground floor invites the guest to the traditional Hakkasan setting, surrounded by intricate wooden screens allowing intimate dining, whilst, the ground floor brings a combination of relaxed atmosphere and a vibrant bar encouraging guests to indulge in an inspired environment. We had the Taste of Hakkasan 3 courses with cocktails. All dishes were exceptional, and the cocktails were strong and flavorful. The service was second-to-none, and the atmosphere was perfect for a date night. Great bar service and hostess service! Vegan options were delicious !! Hakkasan is amazing as per usual! As good food as ever. Great waiter who went out of his way to cater for the vegans in our party. We suffered a sommelier who was spilling wine / water on every pour which at this level is not what you expect. Doesn’t ever disappoint as a meal out and we will always come back. Dim Sum was great. Lovely ambience. The waiter was friendly and provided impressive service. Some menu was pricecy. I would recommend visiting for dim sum. Food was average and well overpriced for some of the items such as dim sum. Yummy food, very good service, sophisticated lighting and decor. The restaurant is busy with lots of tables however it did not diminish our experience. We enjoyed everything about our dinner. Always delicious and always an occasion which outweighs the expense! 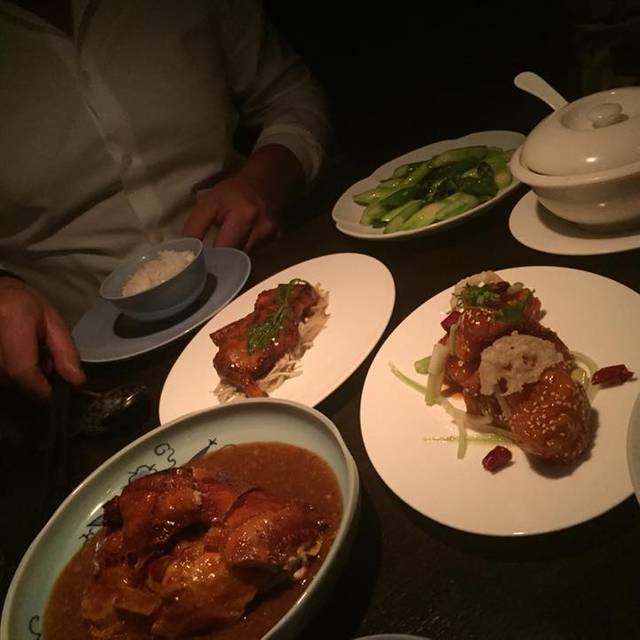 This visit was a dissapointment measured to several other visits at Hakkasan Mayfair. Music way to loud and sercive way to fast. It felt like the were just waiting for the next customers and wanted us out asap. The hot towel, which I find nice to finish with wasn’t there. This used to be my favourite restaurant i London. Not sure it is anymore. Food as always was fantastic! The staff and services was great too. I have no complain about this place. I love going there. The food had very excellent test and nice decoration. I will come back definitely. We love Hakkasan- London, Abu Dhabi, NYC and Dubai. 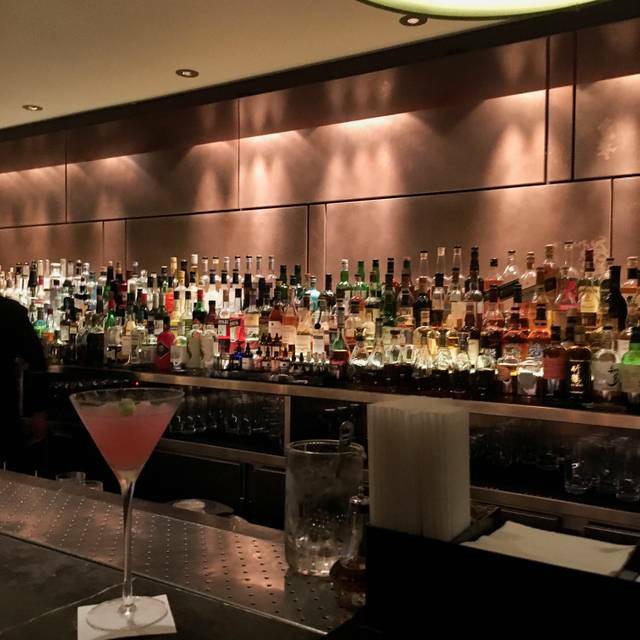 It is always exceptional- My disappointment during our last visit at Mayfair was while having a drink at the bar we were not given pistachios and olives. When we asked for it we only received olives- which were not good (not the standard we always receive at other locations) and we got charged for them 5 pounds!!! This has never happened before- we love Hakkasan the olives and pistachios are the best and always served for free and always the same in every location. 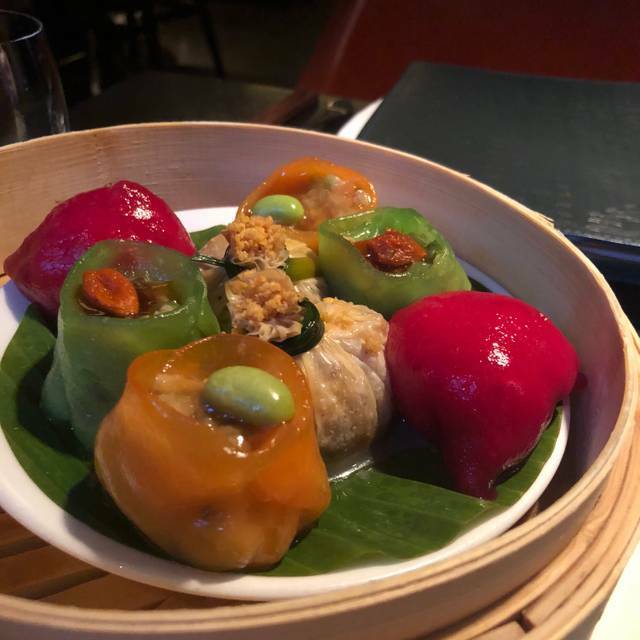 This kinda ruined my evening- the server didnt really understand what I was talking about when I asked about olives etc.....I am use to different service level at Hakkasan. But will definitely go back as it is my favorite still. A little hard to find the place as there is no real signage outside. Once inside the mood is dark and moody. Pumping non-descript music is playing the whole time we are there and is quite loud. The service was excellent, fast and prompt and our dishes were explained to us which was nice. Overall we enjoyed our meal. 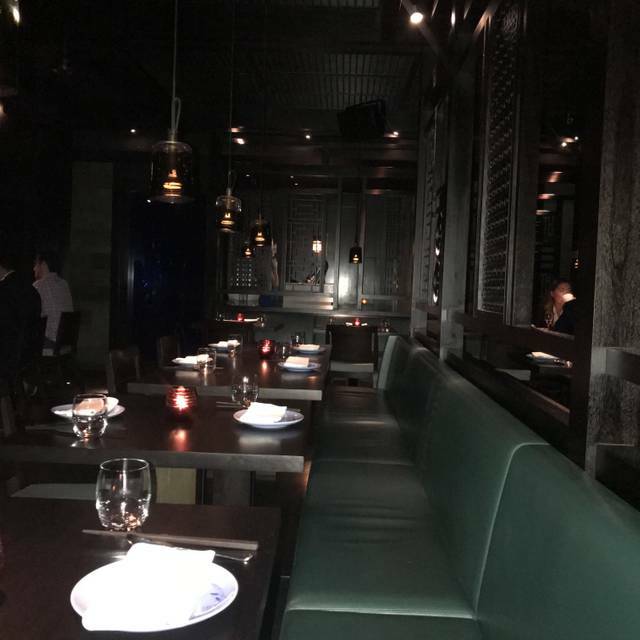 It was my first time eating at Hakkasan Mayfair. The front-of-house staff were very cooperative to move my reservation back by half an hour as we arrived quite early. 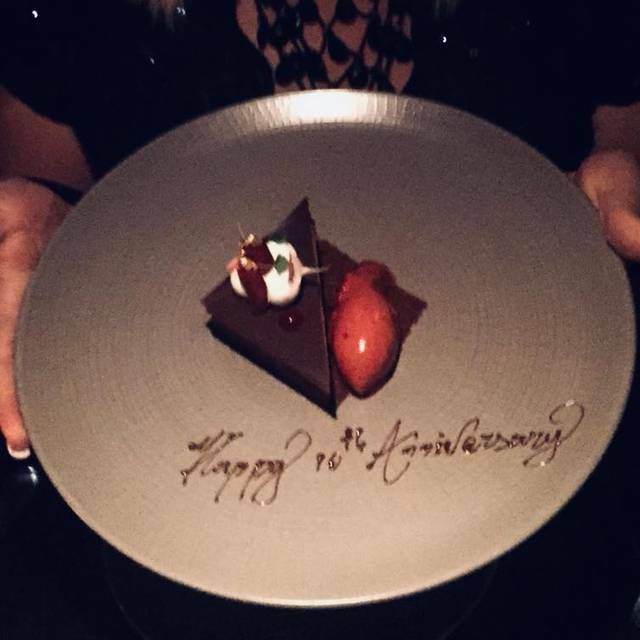 The FOH team took us to our table where we were greeted by a waiter who was very attentive and helpful which contributed to the excellent dining experience. However, the restaurant must have been busy as several staff were not attentive to catering my requests such as following up with missing orders and drinks. The downside was paying the bill, i had to request to pay the bill three times before a debit machine was brought to the table. Honestly, it is worth it to take your significant other on date night. Unfortunately the fantastic food was over shadowed by poor service - where by there was no waiters to help you when needed and there was a distinct issue with listening skills eg we ordered Sancerre and received Sauvignon Blanc! Great scenery, people watching. Delicious food, great bar. Terrible service. Food is always amazing but was a bit upset to see that there’s been a massive menu update where some of the most popular dishes were removed. It is a very nice restaurant witjh great food and a nice ambience/atmospehere. You will definately enjoy a great time here. Hakkasan was lovely, beautiful food and amazing service. I’d be interested to see if the dessert menu has more of a selection in the future. Had a great evening. Great for a special occasion, great ambiance and crowd. Definitely amongst the top fine dining choices for chinese in London. Cocktails delicious - although I was given a different one than what I asked for but I like a Hakka as much as a Pink Mojito anyway so no complaints really. Tables close together so it was rather noisy.